Each and every caregiver, at All Heart Home Care of San Diego, is personally selected on the basis of: having the compassion to care for others in need, having the experience and knowledge of in-home care, having the ability to take initiative, being trustworthy, and most importantly being reliable. This criterion is developed to maintain the quality of care services that we promise to provide our clients. Our clients are valuable to us so we are here to take care of their needs. Every caregiver is put through a strict hiring process that consists of 10 different steps. On the basis of these test results, the caregivers are carefully evaluated and then hired. After the completion of the interview hiring process, the attendants are provided with agency training. This training will further ensure that the caregivers will provide high-quality agency home care services to each and every client.  On-time care is one of the most important factors for our agency to provide superior home care services to our clients. This is why we utilize a unique home care system to monitor our caregiver’s ability to be punctual for their shifts. With the use of our telephony home care system, we are able to monitor the time the caregiver arrives and departs our client’s home. This system ensures our clients are always in the know of caregiver arrival time. In the case of caregiver tardiness concerns, our telephony home care system automatically notifies our agency about the late arrival of our caregivers. As a result, we will manage this concern and send in a replacement caregiver if needed. Apart from that, we also will inform our clients about the caregiver’s delay. We understand the importance in providing accurate invoices which is why we use this reliable telephony caregiver monitoring system which ensures the invoices will be 100% accurate.